Welcome to Best Quality Lighting (BQL)! We are an outdoor landscape lighting company. We manufacture high-quality die-cast brass fixtures, we have exceptional service and give a Lifetime Warranty on all of our brass fixtures. We are a leader in durability, innovation, and service in the low voltage landscape lighting industry. We offer a wide variety of up/accent lights, path lights, deck/step/hardscape lights, well lights, underwater lights, and LED bulbs. Distributors: Start filling in your 2019 Incentive Forms! 2019 Version AVAILABLE TO DOWNLOAD NOW! Start filling in your transactions for points! Check out our NEW brass LED integrated Spot and Pathway Lights! Fully built-in LED modules, going all the way up to 12W and 750 Lumens! 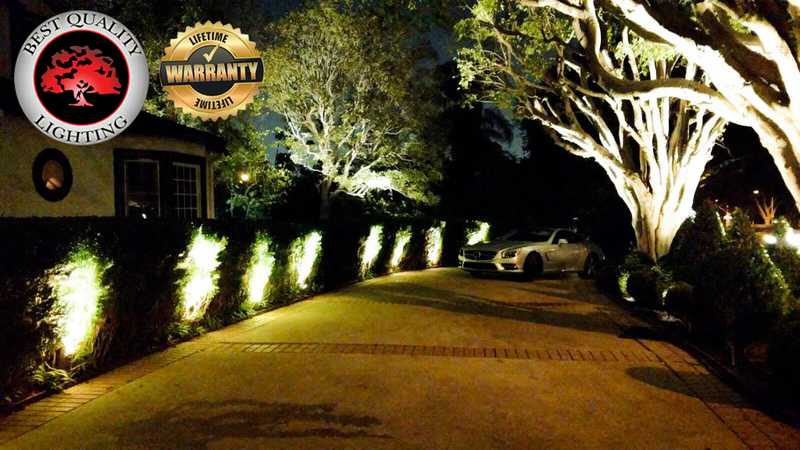 Shop our products for the newest innovations in exterior landscape lighting fixtures. We are a business to business (B2B) seller, so contractors and end-users can purchase our products online via Amazon, Home Depot, and numerous other online outlets. We also have distributors that sell our product throughout the US. DISTRIBUTORS – We offer several convenient purchasing options. Email us to place an order. We offer same day shipping for orders placed before 12PM on weekdays, with some exception. We have virtually no back order; everything is in stock! Check out our new lines of Thinline Hardscape and Polaris LED integrated fixtures, including deck lights, pathway lights, and spot/up/accent/directional lights. We appreciate your interest in the Best Quality Lighting line of products and look forward to your business. Contact us for all your outdoor and exterior landscape lighting needs.